Many desert plants will thrive in hot, arid climates. If you long for something other than just cactus and rocks for your landscape, consider some of the many desert plants available. For the best results, consult the USDA hardiness zone map to determine the zone for your area and buy plants that suit your zone. 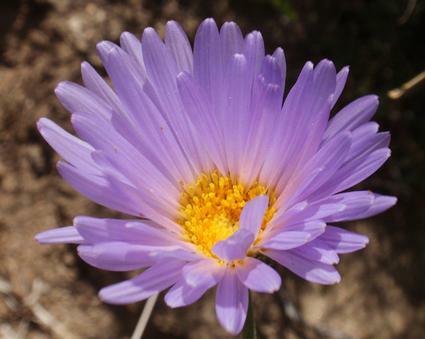 Mojave asters are members of the sunflower family and contain small purple flowers with a bright yellow center and long grayish, green stems. 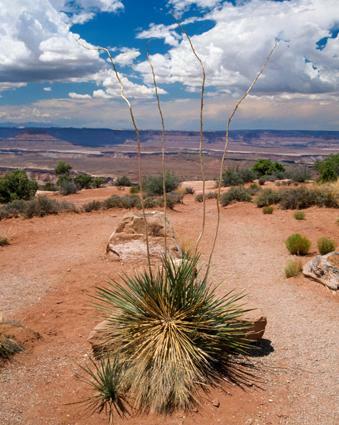 This plant is happiest in sandy or rocky canyons between 2,000 and 5,500 feet. Sand verbena is a creeping vine that grows at elevations lower than 1500 feet. 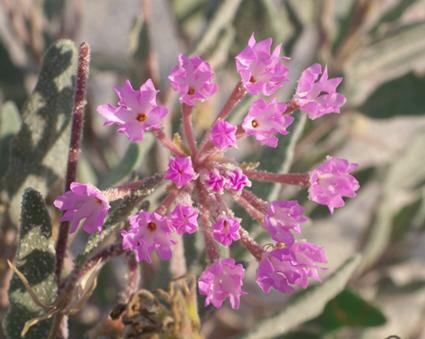 Most often found in sand dunes and along the sides of the road, sand verbena produces a bright pink or fuchsia colored flower shaped like a trumpet. 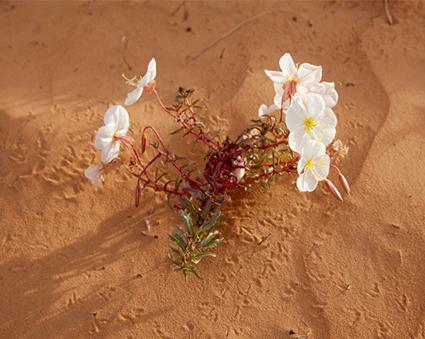 This pretty flower is often called desert primrose and is found creeping in open and sandy desert areas near dunes, below 3500 feet. It can be found in the Mojave, Sonoran, and Great Basin deserts in California, Arizona, Nevada, and Utah. It's sparse and hairy gray-to-green colored leaves grow about 4 inches, forming a basal rosette. Beautiful and very fragrant white flowers with a yellow center bloom from January through May, opening in the evening and closing in the morning. 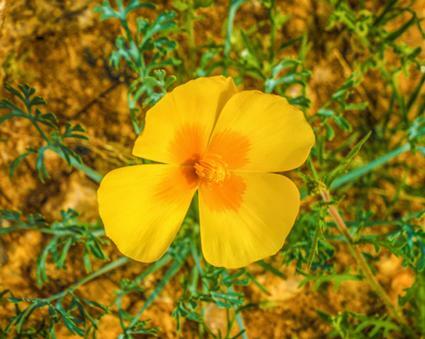 Also known as the summer poppy or orange caltrop, this flower resembles the orange flowers of the California poppy and blooms from July to October. It has an annual taproot that can grow to be 9 inches as well as lateral root up to 8 inches. The leaves and stem are covered with small hairs and bright orange flowers with a small red spot in the center remain open for just a single day before falling off. You can find this pretty wildflower throughout the Sonoran and Chihuahuan deserts. Cacti and succulents make a large majority of the plants found in desert country. Their beautiful shapes, flowers, berries, soft leather-like leaves, and spines represent a species of plant set for survival in a tough land. Yucca desert plants are well known in desert garden landscaping and is the state flower of New Mexico. The Yucca has long, narrow leaves that are pointed on the end. The thick center stalk produces a cluster of white bell shaped flowers. The Yucca is native to the southwestern United States and northern Mexico and is cultivated for its fruit by the Pueblo Indian tribes. There are numerous types of yucca plants, such as yucca filamentosa (or Adam's needle) which has a clump of leaves about 30 inches tall with a large flower stalk in the middle. Agaves are known for their giant panicles of flowers, interesting shape, colors, and textures. While you may be familiar with the blue agave (native to Mexico), where agave nectar is sourced, there are at least 18 known agave types found in seven of the 50 states. The greatest diversity of this plant type is found in Arizona, home to 12 species. 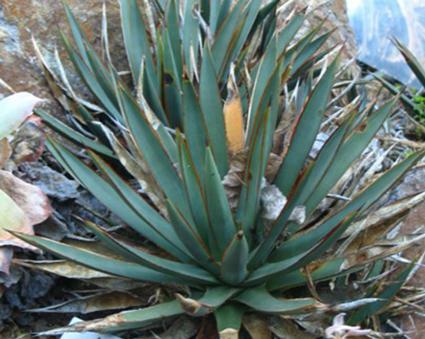 Most agaves have rosettes made from succulent, rigid and hard leaves that have marginal teeth and a sharp terminal spine. 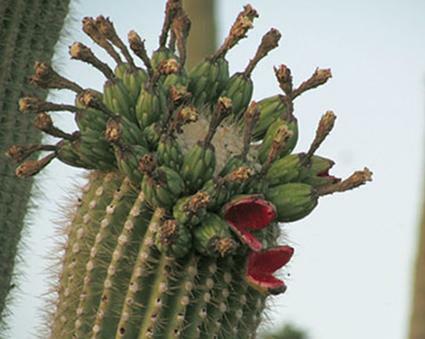 When thinking of desert plants, the Saguaro cactus comes to many people's minds. This edible succulent is the state flower of Arizona and only grows about one inch per year. 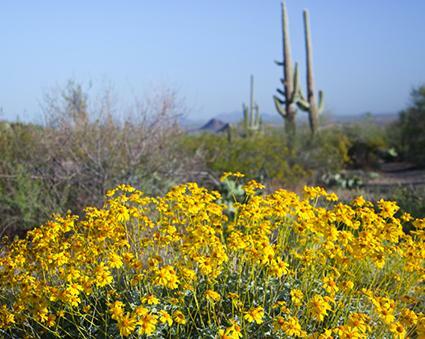 When in bloom, the Saguaro cactus sports large white flowers with yellow centers on the tips of its branches. The blooms open at night and close when the sun gets hot in the early afternoon. Another popular cactus is the prickly pear. The skin of the prickly pear is covered in spines called glochids. Some people mistake the large flat pads as leaves when in fact, the pads are just small branches. 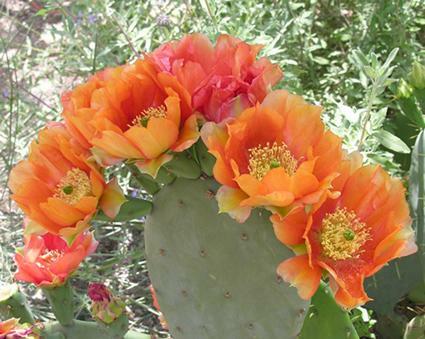 The prickly pear blooms in the spring and large yellow flowers make this cactus easy to spot. When mature, the red fruit of the prickly pear is harvested, and the juice is used in fruit smoothies and health drinks. Another common name for the barrel cactus is the compass cactus because Native Americans used to use these plants for navigation. These cacti are found in the southwest area of North America including the Sonoran, Mojave and Chihuahua deserts. 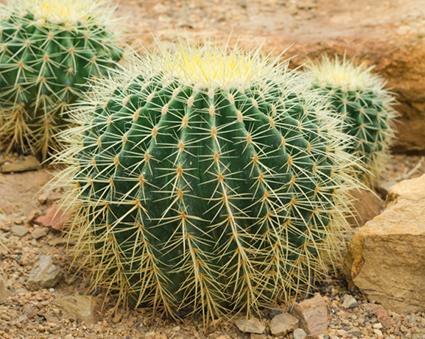 Barrel cacti thrive in desert washes, gravel covered slopes and under desert canyon walls. These globe-shaped cacti grow very slowly and can live up to 100 years. They are a greenish color with reddish-orange spines and brilliant red, orange or yellow flowers that bloom between July and September. 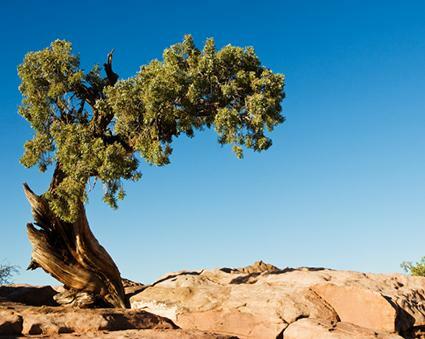 Juniper is the most common desert tree in the southwestern United States. Juniper tends to grow at higher elevations and is usually seen on mesas. Junipers typically grow to approximately 40 feet tall and thrive better when they can receive full sun. If grown too close together, Junipers will have stunted growth and not produce as many berries. 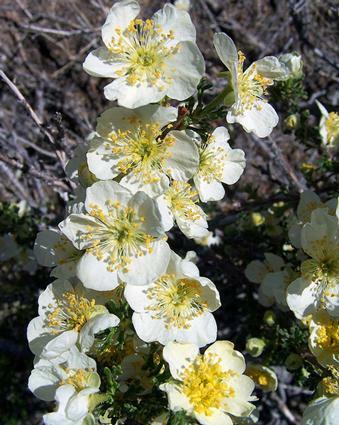 This medium-size round shrub grows in clumps throughout the Sonoran and Mohave dessert. It can also be found in interior valleys in Southern California and in the coastal chaparral. The plant produces a profusion of yellow blooms from May to June. Inside the brittle branches, there is a highly aromatic resin. The Pinyon pine is another tree common in the desert area of the southwestern United States. 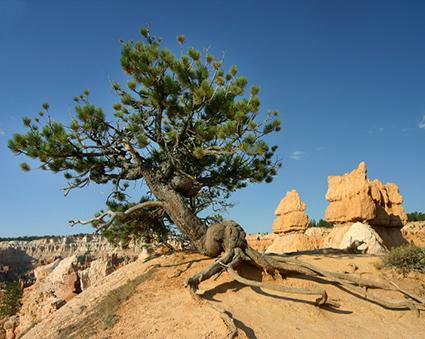 A relatively small tree, the Pinyon pine only grows to about 30 feet tall and produces an edible Pinyon nut. The nut is also known as the pine nut and is an essential ingredient of the popular pasta sauce called pesto. Desert willows are a large shrub that grows about 20 feet tall with narrow branches. The shrub produces a pinkish-purple flower that resembles an orchid. 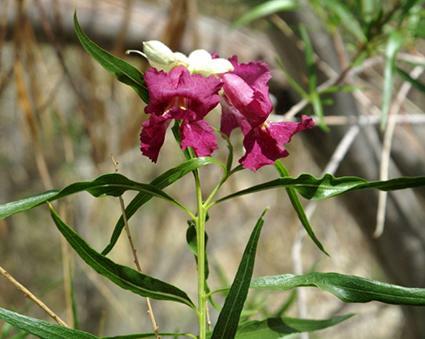 Though most desert plants can withstand severely dry weather, the desert willow does require a moderate amount of water to thrive. The shrub is found growing along creeks, streams, and drainage ditches. This plant is a member of the rose family and is commonly found between 3,500 and 8,000 feet in the Southwest, Rockies and the Great Basin regions into Mexico. Bees and butterflies are attracted to this sweet smelling shrub that produces fragrant whitish flowers. Reaching a mature size of up to 20 feet, the cliffrose shrub blooms from mid-spring into summer. 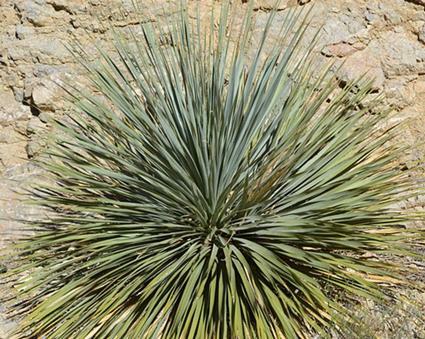 This plant is the largest in the yucca family often growing to twenty plus feet tall, and is found in the Mojave Desert, Nevada, Arizona and Utah at elevations between 2,000 and 6,000 feet. 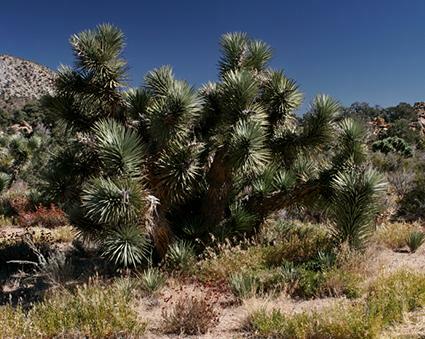 Often found growing in groves, the Joshua tree has bell-shaped blooms during the spring. Sufficient sunlight and space are all most desert plants need to thrive. If you are trying to grow plants in wet or cold climates, remember to provide soil with very good drainage and enough sunlight to keep the soil dry. This will prevent root rot and allow the plants to grow. Just remember that most desert plants grow slowly, so it may take several seasons to be rewarded for your hard work.